You want your dog to be able to play and run outside with the family, but sometimes the hassle of it makes it a challenge. The fleas, the bugs, the dirt brought into the house with naturally grown grass, the smell of a hot dog rolling in the dirt and the routine after-play baths are tiring. There is an answer: Artificial turf for dogs! Artificial turf for dogs is the perfect solution for pet owners for so many reasons. Not only does it look like natural grass, but it also provides drainage so you pet can use the bathroom outside with easy cleanup and no leftover stains. · With artificial turf, there are no fleas or bugs in the yard, so your dog will not suffer from the effects of infestation. So no more scratching and the possible resulting skin problems. · You will no longer need pesticides and fertilizers, which affect pets the most because they are lower to the ground than people. This promotes the long-term health of your pet. · Artificial turf is allergy free. That means that pets with allergies will no longer suffer when they are outside playing in the grass. 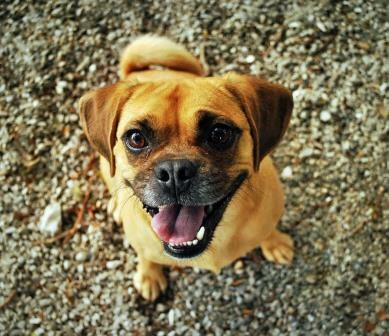 · Your dog will be healthier because they will spend more time running and playing outside. That will improve your pet’s overall heart health and reduce its stress. · Your dog will stay cleaner. Your pet won’t be rolling around in grass, dirt, or mud, so it won’t need as many baths and that will likely make your pet happier! Artificial grass is so easy to take care of with minimal effort, even with pets. With an artificial turf, you favorite pooch will not wear out grass areas and can’t dig holes. Additionally, pet stains will not remain on artificial grass. Pet waste areas are easy to spot and easy to clean. Most can be cleaned with a water spray and if necessary a gentle, recommended cleanser. Most artificial turfs contain natural elements that automatically reduces odor and you can also add additional products to absorb odor, so your yard will always be pleasurable. So, with all these advantages, you will not be constantly refilling holes, reseeding areas that are yellow and worn. Your lawn will always look great year-round, no matter how much your pets use it. You and your family (including your dog) will be, overall, healthier with artificial turf because it is allergy-free. Your dog will not be tracking in dirt or grass pollen into your home so that means your dog and your house will stay cleaner for longer! Your home will be easier to keep clean because you will not constantly be mopping up mud from your pet on wet days. You will also have more time after outdoor playtime because there will be no need for a dog bath after a day out. Artificial grass reduces the number of disease carrying insects, like ticks, in your space. It also contains an antimicrobial protection that prevents things like mold and mildew from growing. There’s not one basic type of artificial turf. They have different backings and blades. Be sure to look for a solid backing that let pet’s urine drain easily. Drainage is important because you will want to spray areas down after pets have used them. Most say the best blades for pets are thatches that use both short blades and a layer of small, curly blades. This type of artificial grass makes it easier to spot pet waste areas. Artificial turf can also include an infill, typically sand or crumb rubber mixed with other elements, so it has a natural feel and makes it strong and stable. Whether you have a small breed or a large dog, installing artificial turf for dogs instead of keeping naturally grown grass can help increase your pet’s health, your own health, and make spending time outside more enjoyable. That will amount to a better quality of life for both. Don’t take our word for it! Learn more by downloading our case study below!